something's cooking in the kitchen! go on take a closer look. 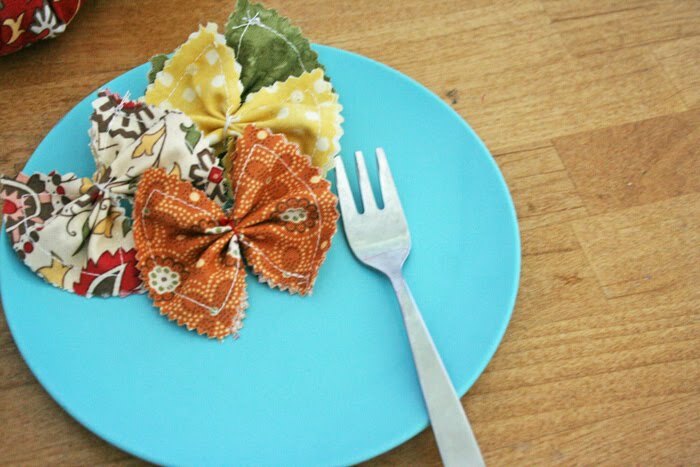 mmm garden flavored bow pasta! sure to be a delight in anyone's kitchen! want to make some for your little darlin's kitchen too? 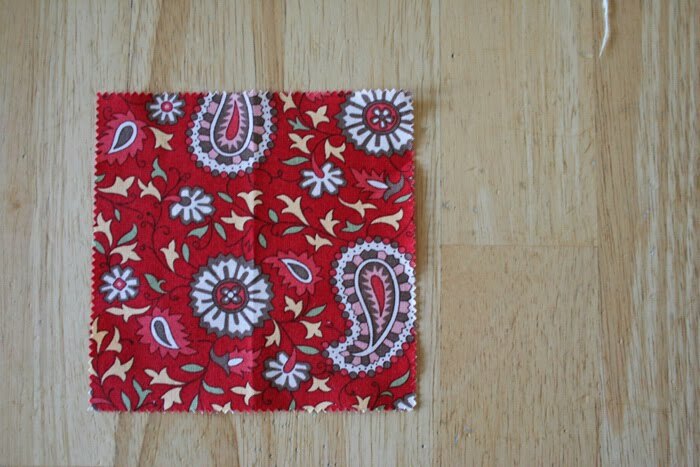 *5 by 5 squares of fabric in greens, reds, yellows, creams, and orange. 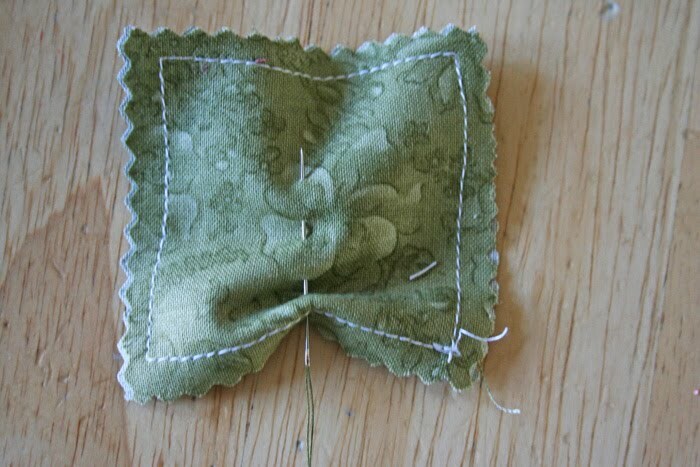 each square makes two fabric bow pastas. take your 5 by 5 square. 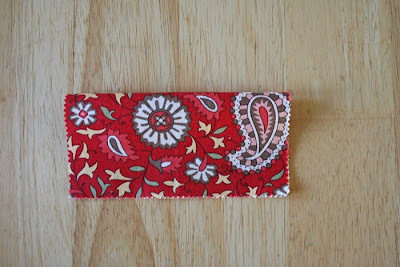 fold it in half...cut at your fold. 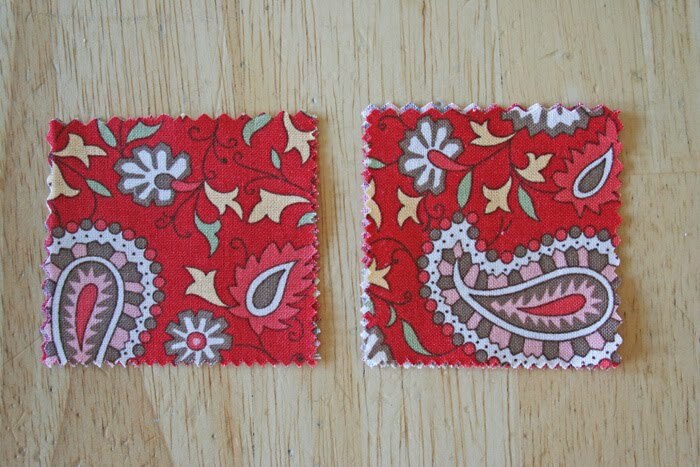 fold it in half again and cut at that fold as well. 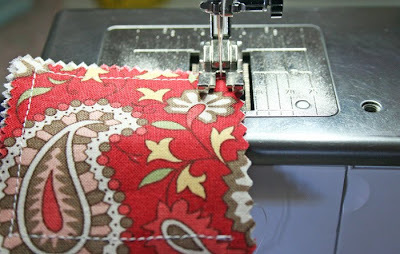 take a needle and thread and do a running stitch through the middle. 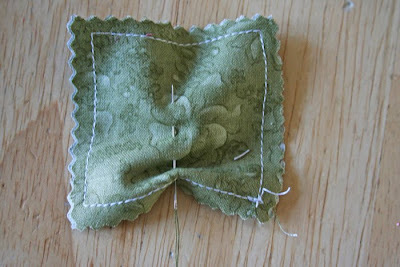 pull tight and wrap around a few times the thread in the middle and tie a knot in the back. bon appetit! too bad real pasta isn't this low in carbs and calories. i'm actually cooking something in MY kitchen today...maybe i'll share it if i get a chance! These are darling. 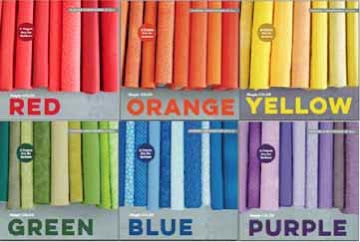 I am so excited to have a playroom for my kiddos...and then watch out fabric food, here I come! Those are soooo cute! Who would have ever thought to do that? I am so impressed. I love these! Can't wait till nap time today to make some. You have amazing ideas. Oh, my! Those are toooo cute! How fun! 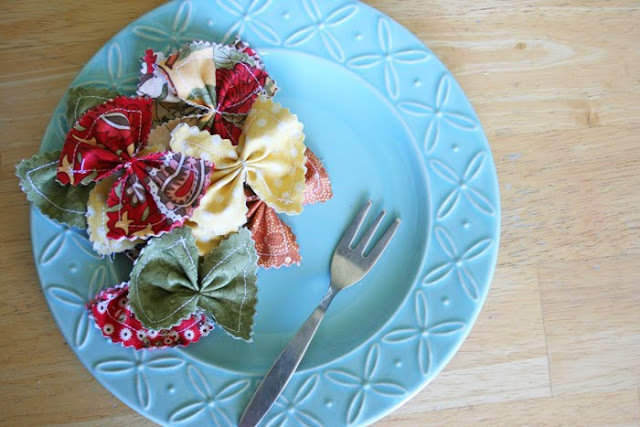 Fun fabric food...NOT made of felt! 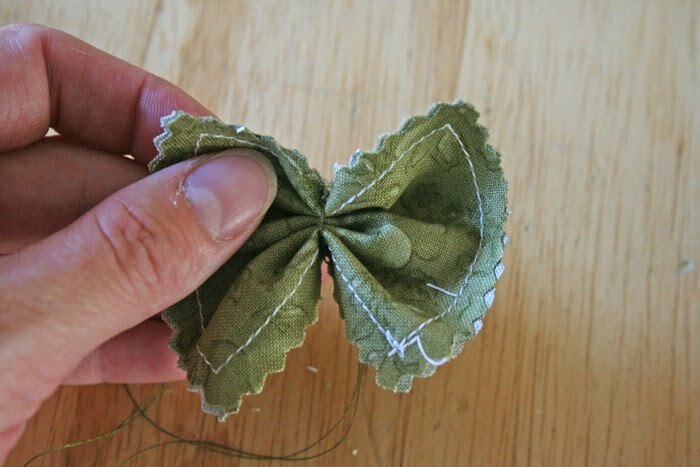 Very create and very cute and WAY EASY to make! Thanks for sharing the idea! I also really like your other fabric fruit (tomatoes and orange??) behind in the bowl......how about a tutorial for those??? How cute! I'm going to definitely have to make some of those for my little ones! I'm so sad that my girls are out of the "play kitchen" stage... this is ADORABLE! This is great! 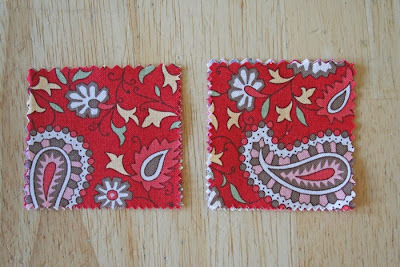 I am sewing raviolis out of felt and stuffing right now for my kids. I love this idea to add some color. You are such a cute mom. That is all I can say. i want a bowl full! cute vanessa! And who would have thought....so easy! Totally genius. Love it. yummy! these look like so much fun! 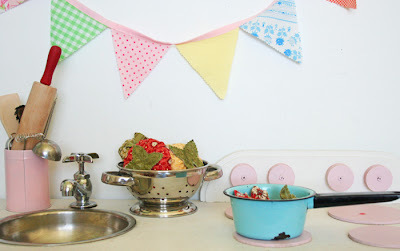 I want to make fun stuff for my girls' kitchen, but never get around to it, dang! These are wonderful. 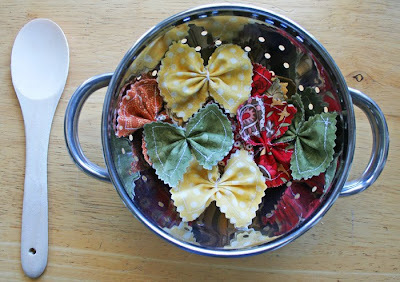 Used a fabulous new a pasta pan which is great at draining all pasta and vegetables too. I don't know why more people don't use one. that is the cutest freaking thing!!!!! my girls would totally die over this! 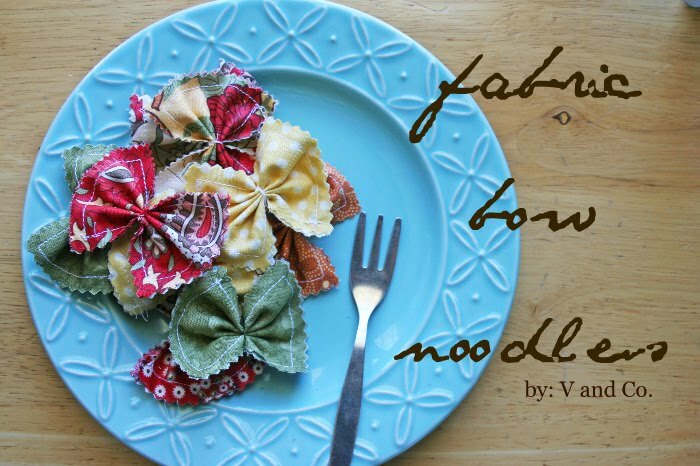 Your fabric pasta is SOOOO cute! 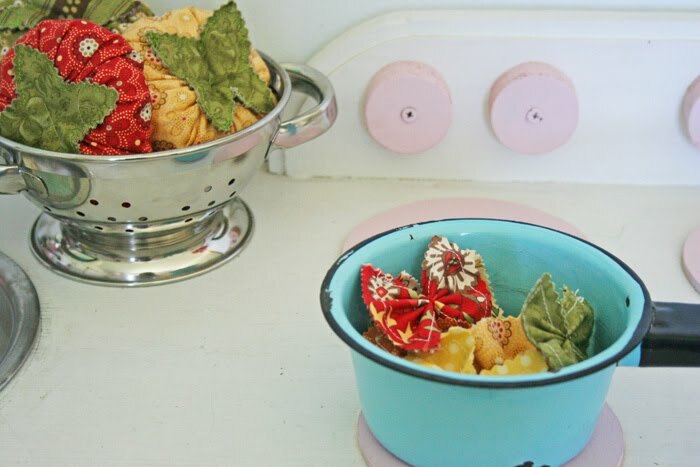 Love love love the scrap fabrics to make the pasta so fun and colorful! 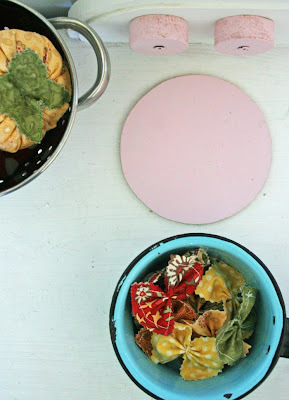 I love making fabric food for my kids. I've made bow pasta before, but I made it with light brown felt so I wouldn't have to worry about fabric fraying. I'm loving your colorful ones, though! I'm Brazilian and this is the first time I visit this place. I'm mesmerized. Everything is so beautiful and well-done... 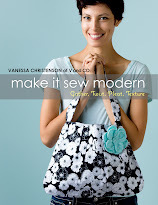 I wish I could sew too but I'm not the sewing person! By the way, the fabric food is beautiful. I loved it. I'll ask mom to make them for my students! Thanks a lot for sharing. This is the first time I've had a strong desire to eat fabric. Seriously! oh my goodness! so simple, easy and cute! I will definitely try - thanks for the tute!